«Every photograph is a battle of form versus content,» Garry Winogrand famously stated, but what is the relationship between the veracity of the document and the photographer’s interpretation? How may a balance be found between form and content, while maintaining one’s own subjectivity? Jérôme Sessini’s masterclass does not aim to provide answers to the eternal dilemma that accompanies the history of social photography, but rather to question the contradictory tension, which characterises documentary photography: by investigating the relationship between veracity and personal interpretation, participants will be guided through the search for a personal balance between form and content by means of experimenting different shooting methods and distances from the subject. Jerôme Sessini (France 1968), a member of the Magnum Photos Agency since 2012, started his career as a self-taught photographer. 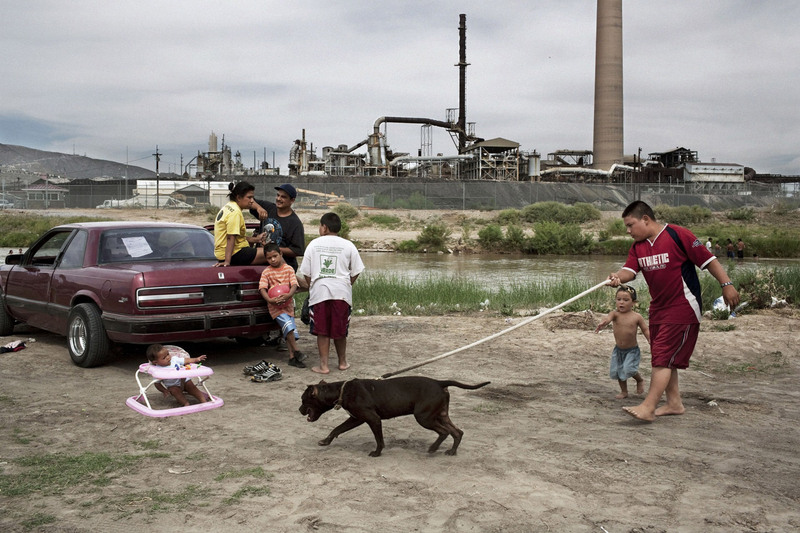 His work has long been focused on the shady areas along the border between Mexico and the United States, especially Ciudad Juares. Here, he documented the no-man’s land in the hand of the narcotics cartels, represented in cruel realism. His subjects – decay, youth criminality, corruption, drugs and prostitution – are the protagonists of a moving yet truthful photographic work. Sessini has been awarded a number of international prizes, such as the Getty Image Grant, the Olivier Rebbot Award and the World Press Photo, the latter for his latest series on the Ukraine. He has exhibited at a number of photographic venues such as the Festival of Perpignan ‘Visa pour l’Image’, Les Rencontres d’Arles and the Bibliothèque Nationale François-Mitterand in Paris. His book The Wrong Side, published by Contrasto, was nominated by Aperture as one of the best books of the year 2012. Materials: Participants are required to bring their camera with a sufficient number of SD Memory Cards and a laptop with them. All must have a digital portfolio (sequenced, jpeg or pdf) for screening review.